We were extremely impressed with the patience, love and skill with which they handled my princess.The images came out super awesome. If you are expecting a baby don’t forget to book a session with Shivani. 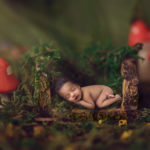 We highly recommend Shivani Ghoyal for your new born photoshoot. Shivani Goyal was absolutely amazing and patient with me and my child. She was extremely comfortable in handling my 1.5 month baby. Thank you for those moments which we would cherish forever. We had so much fun getting our pre maternity photo shoot with Shivani Goyal Photography. They are very professional, creative, and talented. Pictures were sent to us within 4-5 days after the photo shoot & they all turned out beautifully! you would absolutely love your experience with them. Thanks for all the efforts Shivani Goyal..
Had a superb experience with Shivani during my son’s photo shoot. Impressed by her patience, art and the way she engages with babies. Would definitely recommend her. 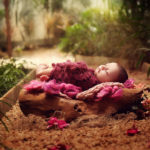 Thank u again..
We had a great session photographing my little girl. Shivani were very professional and friendly and made us feel very comfortable. We all had a fun time and were laughing and smiling and really engaged in the photo shoot. It was truly a wonderful experience and we would recommend Shivani Goyal Photography to anyone! Thank you! 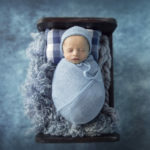 Excellent photography skills and amazingly she handle my newborn!! Just loved each and every pic clicked in the photoshoot!! Also worth mentioning the patience and calmness shown during the entire photoshoot!! Shivani ensured that our last minute maternity photoshoot turned out to be just perfect!!! I contacted her just a day before the day of the shoot and in such a short notice she still managed to create beautiful settings for the pictures and took lovely shots that made everything look perfect 😊..a big thank you Shivani and wish you the best always 😘! We had our baby girls newborn shoot done.. Shivani were a pleasure to work with.. she’s a pro in handling babies with such ease & patience.. captured beautiful shots of our little one. Her props & set ups are amazing..Loved the final edits of our selected pics.. I’m extremely happy we chose Shivani.. keep up the fabulous work…thank you and lots more success to you..